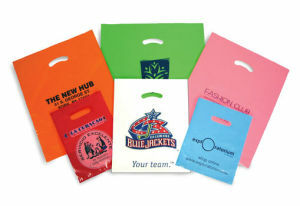 These are just one example of many printed plastic bag programs you can choose from for your retail store. You choose the plastic bag size, color, thickness and print to create just the image you want for your retail store. 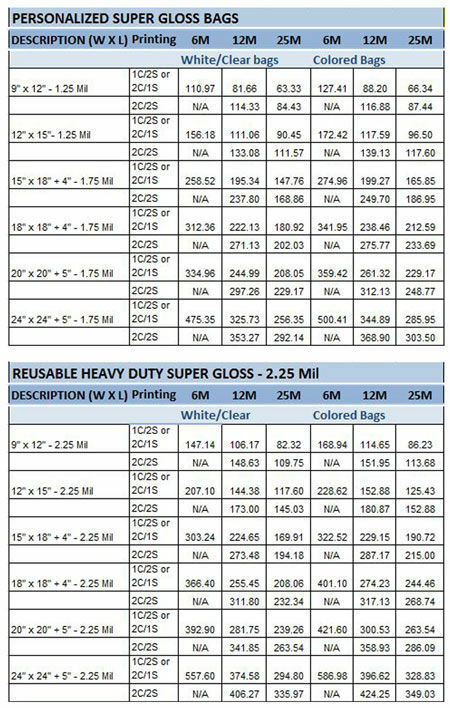 Pricing options listed are for white, or colored bags, 1.75 Mil and 2.50 Mill printed one color on one side. For additional print colors add 10% for 1 color on 2 sides or 2 colors on 1side. These custom printed plastic merchandise bags are made with 20% to 25% recycled material consisting of a combination of post industrial and post consumer resins with a minimum of 5% post consumer recycled plastic. Made in the U.S.A.